In response to WordPress Weekly Photo Challenge: Seasons. Mara, one of the things I enjoy about winter (and spring, when the leaves aren’t back yet) is being able to see the birds’ nest and other things like that in the trees. Hope you’re doing well. Hello, Janet, good to see you around! Yes, it’s nice about winter that the trees are bare, so one can see things that remain invisible in summer. Each season seem to have its upsides. Have a great weekend! Yes! That’s what it looks like here too. 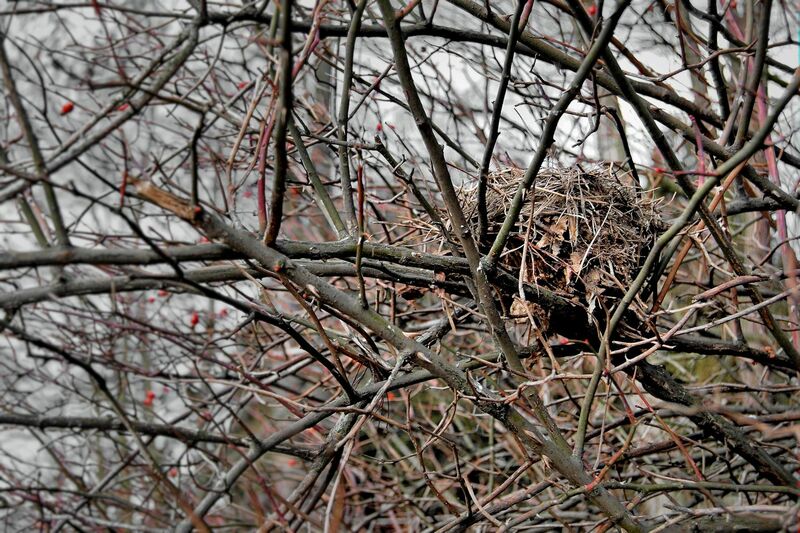 Soon, perhaps some couple will take possession of that nest again. I hope it will be soon, I mean spring, it’s been too long… It’s nice when the sun comes out, but all photos that I take in this season look so depressing and colourless.